Yes as you all might understand, this is NOT The Angry Scot writing a blogpost. 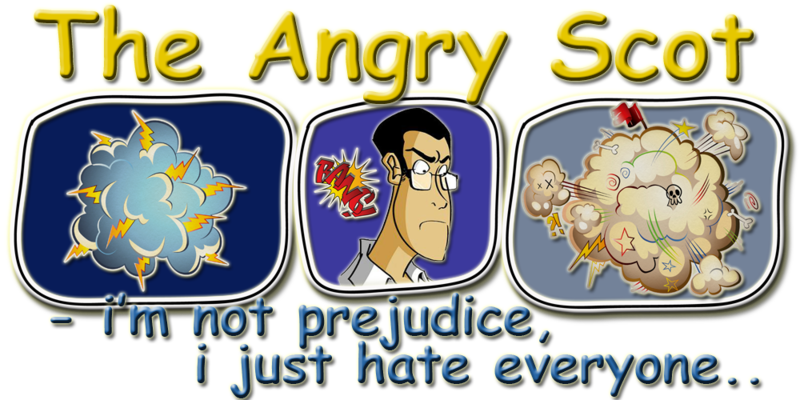 I remember meeting this Angry Scot online, it is almost exactly 6 years ago this month. We met in the world of Azeroth, World of Warcraft. I remember thinking "-Who is this idiot that just thinks he can steal my creatures to kill?? ", "-What a f***ing moron!". I wasn't impressed at all, but for some reason we started talking in the chat. And believe it or not, he was actually quite nice talking to. And from that day we started to play together most of the time. We even started a "guild" (group of people playing together) with some other friends. After a few weeks when we were playing together we started Skype up. I could not understand a single word that came out of his and his friends mouths. Yep, they spoke with a broad scottish accent, and here i sat in Sweden with the english i learned in school. But i learned after a while, and he tried his very best to speak clearer. It took a few weeks more, and then we had "the talk", he finally told me what he felt and i told him. It was the second best day ever. The best day came a one month after that, and i still can't believe that i did this (i would surely kill my own daughter if she ever came up with the idea), but i flew over to Scotland on my own meeting this Angry Scot for the very first time. He found me straight away at the airport, and it just clicked between us, the most amazing feeling ever! A week later he came back to Sweden with me and we have not been apart since. And the rest is like they say history. I love this man more than life itself, he is kind, loving and gentle. He cares about everything and sometimes he even care to much and overthink things. He is the one that makes my heart feel warm and the one who always will be the keeper of my heart. He is also the one that keeps me grounded and the one who i always listen to when i need advice. He is the one i'm going to spend the rest of my life with, and i wouldn't change anything. I am so proud to have him as my partner. I love you so much, words isn't even enough to tell you. Recipe: Filled Chicken With Potato Mash. This is not something i normally do on this blog, since the whole blog is pretty much now dedicated to my family life and the kids, not something that it started out as but i don't regret the decision at all to move it from what it was which was basically a rambling of everything into a family style blog that it has become of sorts. However last weekend myself and Marie had the pleasure of being totally alone in the house as the twins had went away to their dads for the weekend and our daughter Mikaela was away to have a sleep over combined Birthday Party at one of her friends house, so seeing as we had no children in the house we decided that for dinner we would try something completely new and see what it was like. 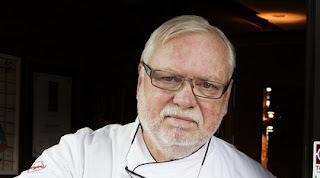 The recipe that i want to share with all of you is something that i had spotted on the TV one night, it was a advert for some sort of brand of chicken we get here in Sweden and the person who was making the dish using this chicken is probably the best chef here in Sweden who goes by the name of Leif Mannerström. So here you go, i really hope you try it out and like it because you will not be disappointed, i just hope that i managed to get everything correct when i translated it over from Swedish. Fry the bacon and the sliced onions until they gain colour and the onions have softened. Remove from heat and let it cool for a few minutes, Add mustard, chopped parsley, salt & pepper. Put some of the filling into the center of each slice of chicken and roll them up. Place skewers through the rolled up chicken to secure them. Place the filled rolled chicken into the frying pan and fry them until nicely brown, once they are browned pour in the chicken stock and let simmer for about 15 minutes. While they are simmering add the chopped up carrots and let them be in the same time until they have become a soft. Remove the rolled chicken and carrots from the pan, Add the sour cream, butter and cream into the broth, mix with a hand blender into a broth. If you want it thicker you can use some flour and let it boil for a few minutes. Boil the potatoes in salt water. Drain and steam the potatoes, force it through a potato ricer. Sit in hot cream, softened butter and finally add the parmesan. Season with white pepper. Well that is it, once again i really hope that you enjoy this meal. It has certainly got my vote as one of the best tasting meals ever and even just the filling that you put inside the bacon can be eaten on the side it is really that great! But give it a try and let me know what you think. So until next time have a great day. Yesterday was a very special day in the house, why you might be asking? 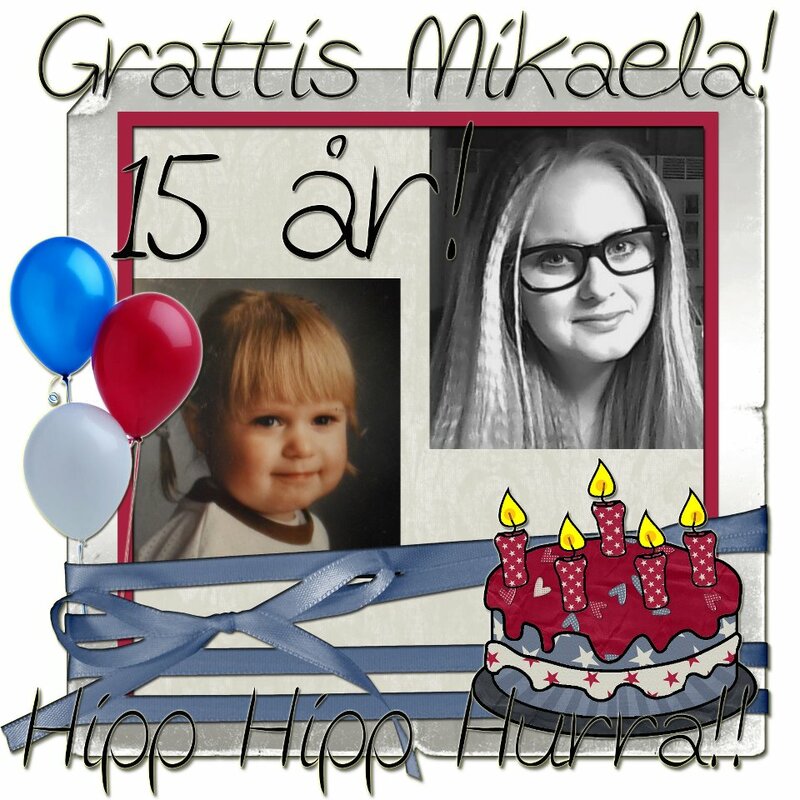 Well my little girl turned 15 years old, and honestly it made me feel like very old! 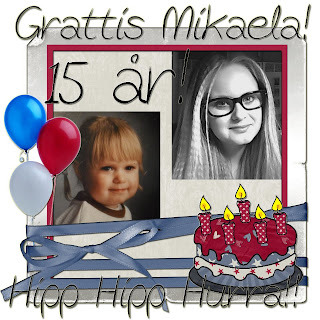 I honestly still can't believe how fast time has gone, it feels like it was only yesterday that i met this little 9 year old girl and yesterday she turned 15. She and a few friends had decided to have a combined birthday party on Saturday at a friends house since 3 of them have their birthday in February so she had come home with her Gran & Grandad to celebrate with us yesterday (her real birthday) and we all sat down with some cake that Marie had made and gave our the gifts, i think she was a little bit more than happy at the fact we had gotten her a new laptop, since she had broken the last one. It wasn't actually her fault that it broke but it was unable to be repaired so we had decided that we would get her a new one. So i think that made the day for her at least now she doesn't have to borrow Marie's laptop every time she wants to do something. I still just can't believe that she is already 15 years old, it's such a scary thing watching your children growing up at times, they are so awsome when they are babies and you think about everything that they will do as they grow up but as they grow you begin to realise than your also growing old but i guess that's just how life is. But if i had to choose any daughter in the world to have been given she would definitely be my number one choice, i have only known her 6 years but in the 6 years of watching her grow she has become a beautiful and very intelligent young woman who i can see good things for in the future if she continues the way she is. But for now i shall bid you all farewell, so until next time i hope you have a great day! Tomorrow i'll be doing something that i don't normally ever do on this blog. I'm going to be sharing a recipe that myself and Marie tried out over the weekend while all the kids were away and i must say if your looking for something very tasty to try out then don't forget to stop by tomorrow!